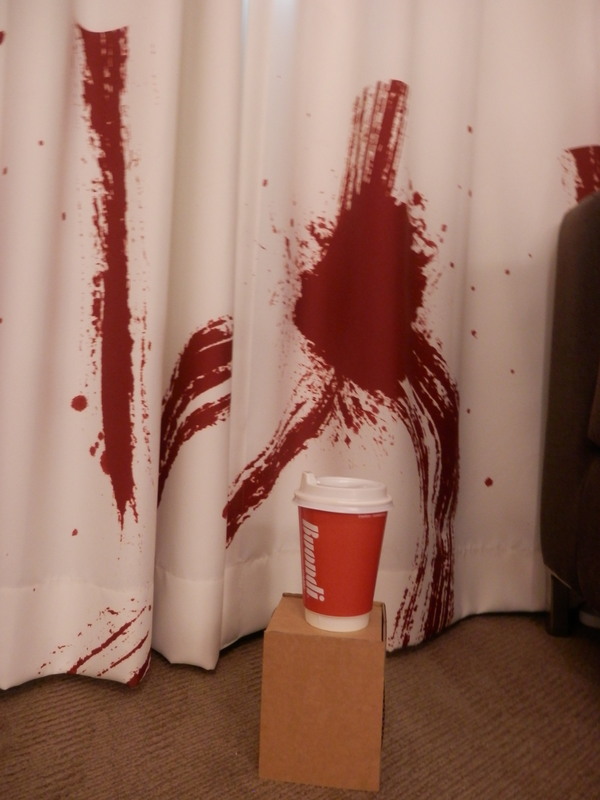 Vamped, Revamped and crime scene curtains! Which part of the title got you? Nah, it’s okay, you don’t have to tell me. I’m so excited that I’ve gotten to tweak and reissue my first two young adult novels, Vamped and Revamped, now at just $3.99! Check out the snazzy new covers (though if you haven’t read the first yet, don’t read the cover copy on the second!). The books are already up for Kindle. Nook, Kobo, iTunes and POD versions should be available shortly, as will the third in the series, Fangtastic! 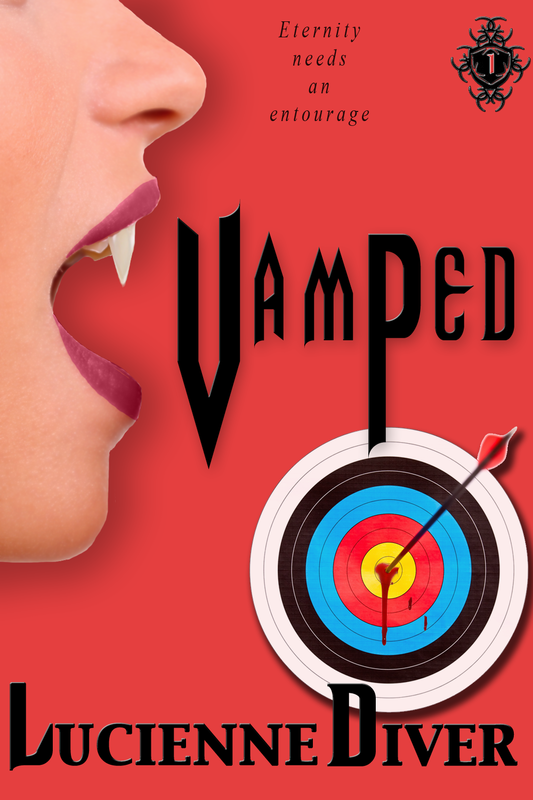 In the meantime, I know that Flux still has print copies available of Vamped, Revamped and Fangtabulous. Get them while supplies last! Rule #1: Do not get so loaded at the after prom party that you accidentally-on-purpose end up in the broom closet with the surprise hottie of the evening, say the class chess champ who’s somewhere lost his bottle-cap lenses and undergone an extreme makeover, especially if that makeover has anything to do with becoming one of the undead. Gina Covello has a problem. Waking up a dead is just the beginning. There’s very little she can’t put up with for the sake of eternal youth and beauty. Blood-sucking and pointy stick phobias seem a small price to pay. But she draws the line when local vampire vixen Mellisande gets designs on her hot new boyfriend with his prophecied powers and hatches a plot to turn all of Gina’s fellow students into an undead army to be used to overthrow the vampire council. Hey, if anyone’s going to create an undead entourage, it should be Gina! Now she must unselfishly save her classmates from fashion disaster and her own fanged fate. Having survived super spy club training, Gina, Bobby and their fanged friends are sent on their first mission—undercover at a New York high school where some seriously weird stuff is going down. As excited as Gina is to get out of spook central, she’s less than impressed with her new identity as goth-girl Geneva Belfry. No color palette to speak of; more chains than a bike rack; and don’t even get her started on the shoes. About the only thing she can say for her all-black wardrobe is that it’s great for hiding blood spatter and other fashion faux pas. Kids at the high school are going crazy—sudden outbreaks of violence, kids sleepwalking through school or dropping out entirely. Serious magic surges have been detected in the area, along with a mysterious and nearly mythic figure…someone who should be long dead and at least thrice buried. 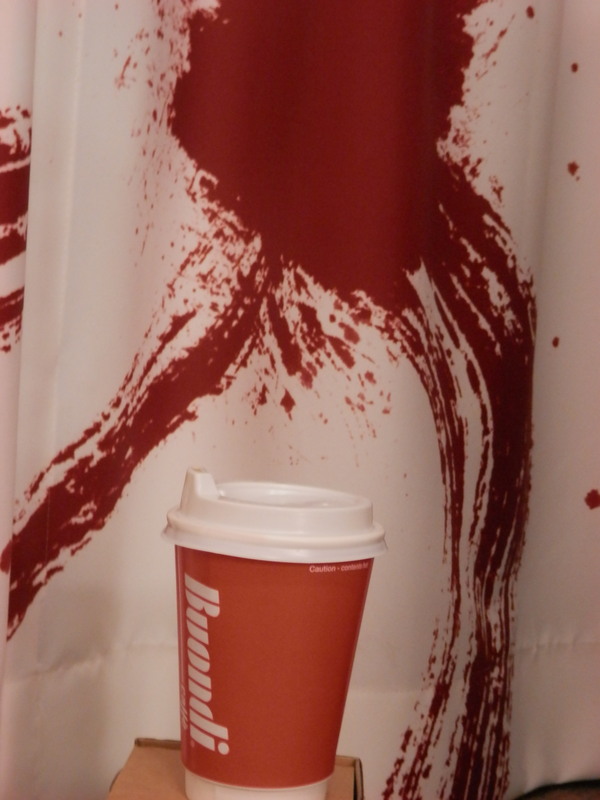 Oh, and the promised crime scene curtains? The hotel for the Romance Writers of Australia’s 2014 Conference (the Novotel Olympic Park) had…some very special decor. As an example, here are the crime scene curtains. Tell me that doesn’t look like blood spatter! I felt like I was sleeping in an episode of CSI! I swear, I’m really a very nice person! I hardly shed any blood at all…that would be a waste! Gina needs to give them some decorating tips! Is that a mochachino in the picture?